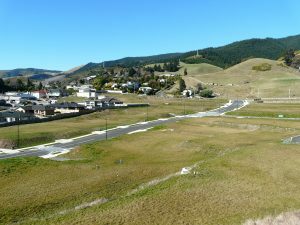 At Jones & Stanger Ltd we carry out a wide range of subdivisions from small Two Lot Subdivisions to large Multi Lot Developments. 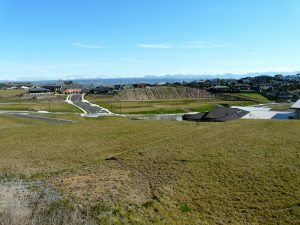 We specialize in infill subdivision and we have a wide range of experience in completing subdivisions on sites ranging from flat sites to steeper more difficult sites. We have also completed a number of larger Subdivisions. 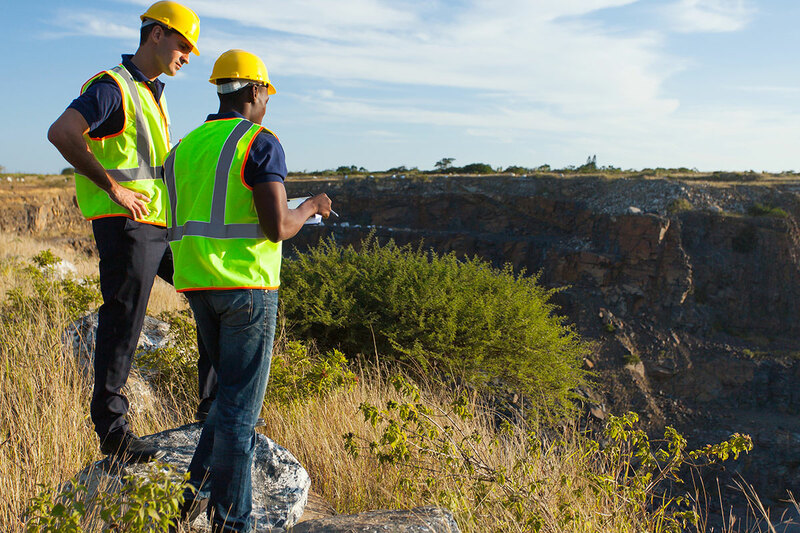 On these sites we have engaged specialist Geotech consultants where necessary. We have invested considerable time in the latest survey software 12d. All our Cadastral plans are now lodged electronically by eSurvey into Land Information New Zealand’s Landonline system. Electronic certifications are also obtained from most Councils making the electronic eSurvey system very efficient. A simple two lot residential subdivision usually costs $60k – $90k, without a Right of Way (ROW), or $70K-$110k if it includes a ROW. Each additional section created on top of this is usually the same cost again. 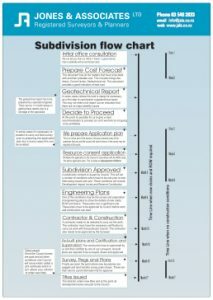 From the initial consultation to the titles being issued – our flow chart shows you the whole workflow process. Click on the image below to download a PDF version of our flowchart.